This pen has been lovingly used. It does not come with box or papers. It is equipped with a modified stub nib. Over the course of past years, Delta has become known as the pen of great events and great personages, which is characterized by its quality and technology and has gained the appreciation of collectors, experts and simple lovers of writing instruments all over the world. On September 18, 2007 the President of the Italian Republic, George Napolitano, convened a special award ceremony honoring the winners of important journalistic awards. This event took place at the Official Presidential Residence, the Quirinale, the location of many government sponsored events. 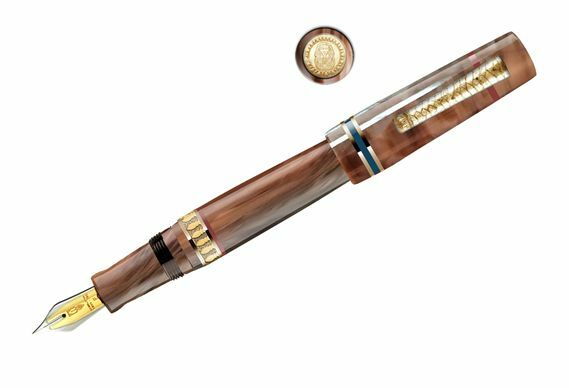 During the ceremony Delta chose to present a pen from their latest limited edition collection, Giuseppe Garibaldi, to the President of Italy. Delta sponsored this occasion, as it represents such ideals as freedom of expression, solidarity, and peace. Delta had in recent times dedicated its Peace collection to the memory of the important War Reporter, Ilaria Alpi. 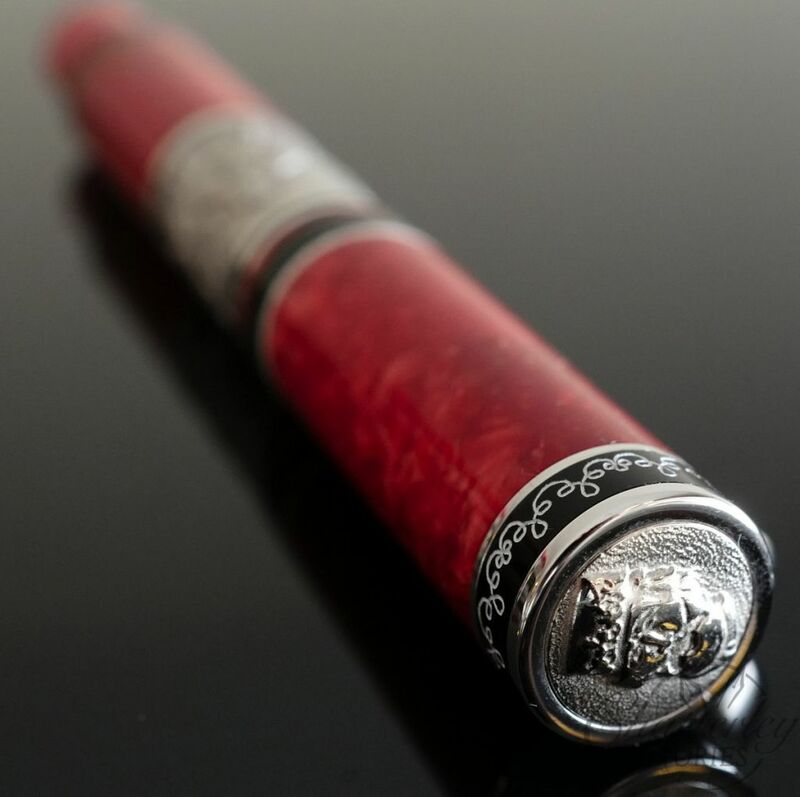 During this important event, Delta, represented by its 3 founders Ciro Matrone, Nino Marino and Luigi Muscente offered to the President a one of a kind fountain pen inspired by the new collection “Giuseppe Garibaldi”. 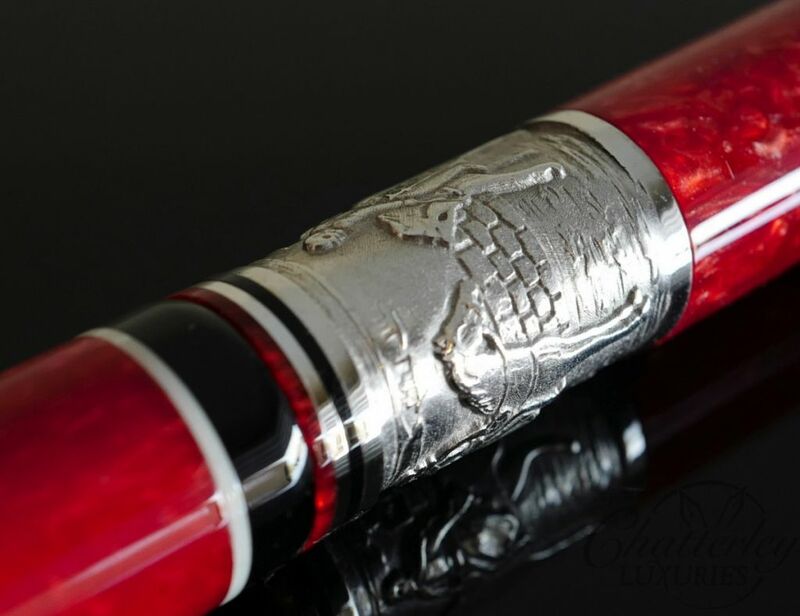 This unique pen in 18kt solid gold and diamonds was decorated with an exclusive miniature hand painting, portraying one of Garibaldi’s battle scene, by a famous Armenian painter. For the limited edition the clip is produced in Sterling Silver. Artistically blends the different swords used by Giuseppe Garibaldi. 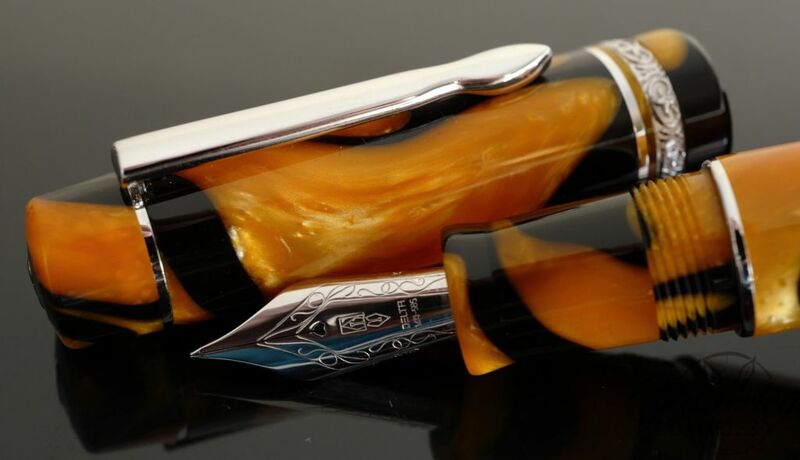 Equipped with an 18kt Solid Gold nib with collection specific engraved design theme. The Limited Edition Fountain Pen offers a choice of cartridge or ink converter. Limited to 1807 pieces worldwide.